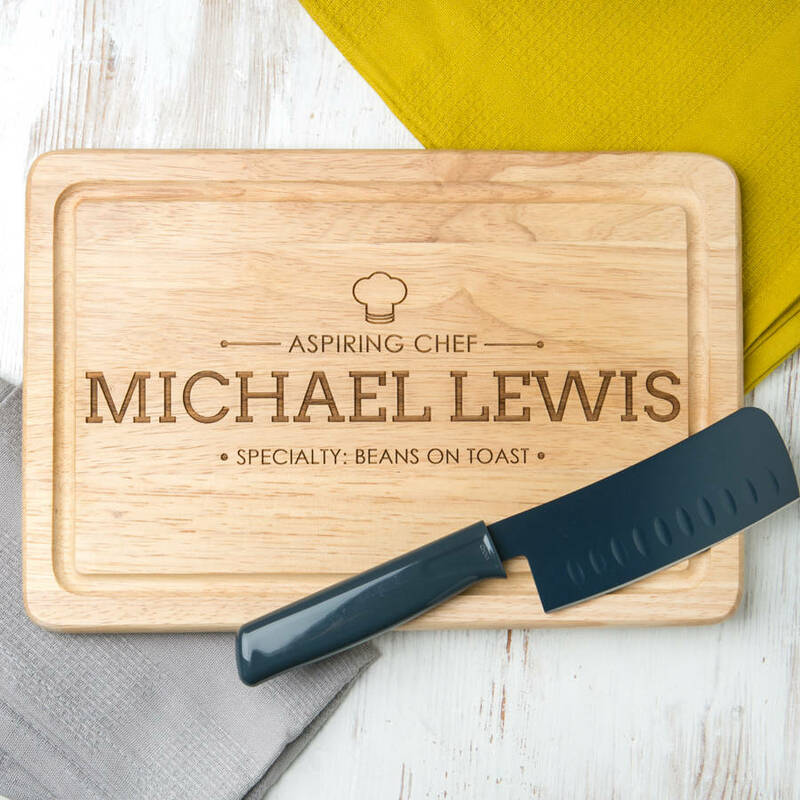 For aspiring chefs, this personalised chopping board is a great addition to the kitchen, and can be personalised with their name and signature dish! 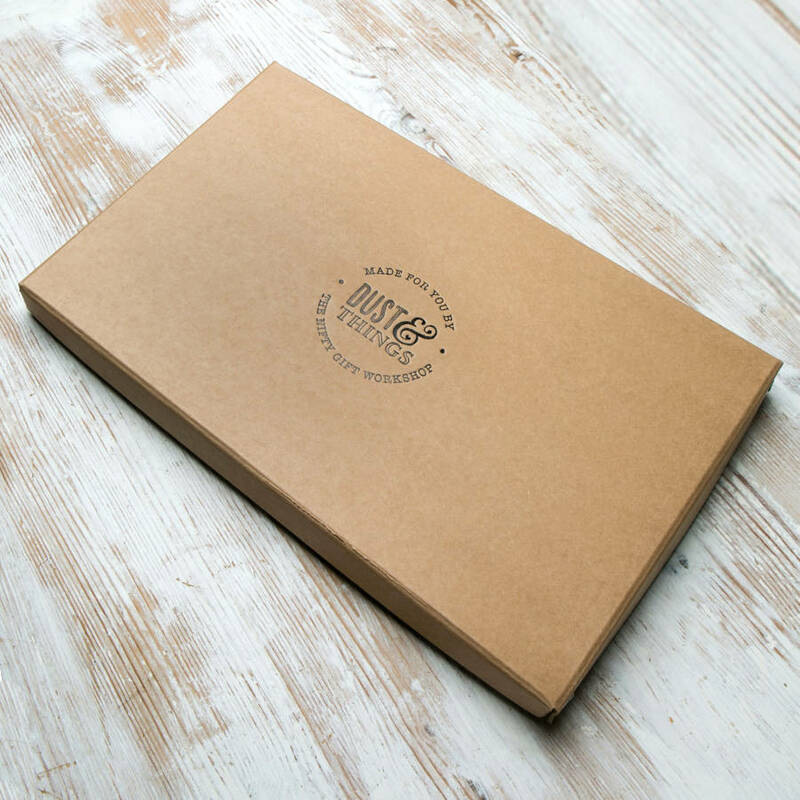 Whether they're a young cook, newly out on their own, or simply embracing the joys of preparing and cooking delicious meals, our personalised chopping boards make great gifts for chefs - whatever their experience. This particular board is personalised with their name across the middle, and their speciality at the bottom. Engraved at the top is a chef's hat and the wording 'aspiring chef'.You can also add a secret message, engraved on the back of the board. Otherwise we will not engrave the back of the board.This handsomely crafted sustainable cutting board will help home cooks prepare meals quickly while sparing their knife blades from damage.A groove around the perimeter captures juices from produce and meats to keep the surface from becoming slippery.Personalised with the name and speciality dish of your choice.